﻿ Riley Hospital Tour – Starring Maeci and Gracie! Riley Hospital Tour – Starring Maeci and Gracie! 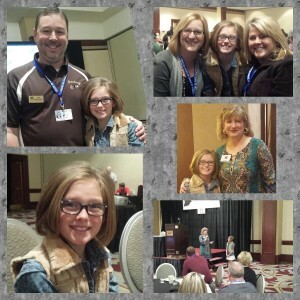 This morning, Gracie presented this video with the Riley Foundation to the Indiana Association of School Principals convention. Her principal from kindergarten-second grade Karen Perkins and her current school principal Tina Noe were both there from Danville Elementary North and South. If you’d like to see some of the behind the scenes work, check out our behind the scenes post. An extended version of the video above is also available on YouTube. Next Post: 5th Annual Co-Ed Softball Tournament!